Canadian researchers say most kids under four aren't getting enough exercise and believe too much screen time is a factor. New guidelines released by Canadian researchers on Monday say kids aged one to four should get at least three hours of physical activity spread throughout the day. The new report was developed by experts including the Canadian Society for Exercise Physiology; obesity specialists at Ottawa's Children's Hospital of Eastern Ontario (CHEO); and the non-profit group ParticipAction. The "24-hour movement guidelines for the early years" report says daily physical activity should include at least one hour of "energetic play" for three- and four-year-olds — something that previously wasn't recommended until age five. Suggestions include running, dancing, or playing outside. Babies, too, should work on daily goals. Researchers suggest those younger than 12 months get at least 30 minutes of "tummy time" spread throughout the day. It's the first time this group has been assigned a minimum duration of what could be considered exercise. The guidelines are based on research that suggests kids aged four and younger are much too sedentary and get too much screen time. "The earlier we can influence the trajectory of children's behaviours, growth and development, the better," says Dr. Mark Tremblay, director of the Healthy Active Living and Obesity Research Group at CHEO. "There's a greater chance that if that trajectory changes a little wee bit, way back when you're really young, by the time you reach the end of adolescence that could amount to a whole heck of a lot." The guide follows a similar report released in June 2016 with advice for five- to 17-year-olds. Like that previous report, the guide takes a "whole day" approach that integrates previously separate recommendations for sedentary and active time. Parents are urged to see how their kids' sleep, sedentary and active time are all interrelated. 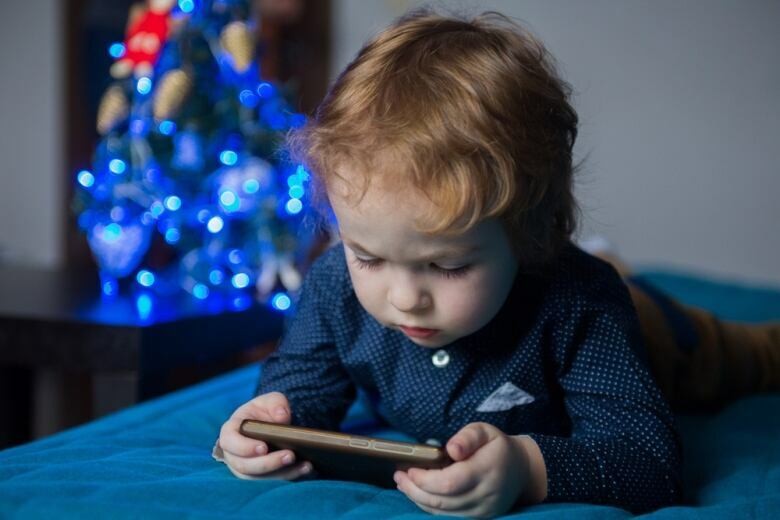 Tremblay says just 13 per cent of preschoolers aged three and four meet the overall guidelines, a shortfall he blames on too much screen time. As much as 76 per cent of preschoolers exceed the one-hour limit of screen time per day. He'd like to see that age group in "energetic" play for at least 60 minutes spread throughout the day, in addition to two more hours of activity at any level — "more intensity is better," he adds. There wasn't enough data to suggest a minimum amount of energetic play for toddlers aged one and two, but again, Tremblay says more is better. There was enough data to recommend that babies who are not yet sitting or crawling get at least 30 minutes of waking time on their tummy, supervised and spread out throughout the day. "Allow them to develop the muscles on the front and the back, in different positions," Tremblay says of the practice, which puts a baby on their tummy, thereby forcing them to use their neck and back muscles to get a look at their surroundings. Floor-based play can help build strength, too, with suggestions including reaching and grasping, pushing and pulling, and crawling. Also new this time around: references to "screen time" are now qualified as "sedentary screen time." That's because screens have become so ubiquitous that it's possible for a preschooler to have a smartphone in their hand while walking, says Tremblay. "The safety of assuming that screen time is sedentary has deteriorated over time," he acknowledges, adding a quick qualification. "I still think the vast majority of it for all of us is done sedentary." There is no recommendation on "active" screen use — such as video games based on a player's movement — which was not studied. "I know kids sometimes at home are watching Disney videos and they're dancing around to them and that happens. That's better than if they weren't [moving], but not as good as if they were just dancing around to music with Mom and Dad," says Tremblay. "That's what the literature seems to show — the authenticity of human contact and three-dimensional experiences is better." Excessive screen time before age five is linked to language delays, reduced attention and lower school readiness. While not all sedentary time is harmful — such as reading or storytelling with a caregiver — the report says toddlers and preschoolers should not be allowed to sit for extended periods, or be restrained for more than one hour at a time, such as in a stroller.